ApowerMirror - Mirror Android/iPhone to Computer in Real Time. ApowerMirror is a screen mirroring application for both iOS and Android devices, with full compatibility for Windows and Mac. With mobile phones and tablets running Android 5.0 or higher that support Chromecast, users can install this program for screen share with PC. 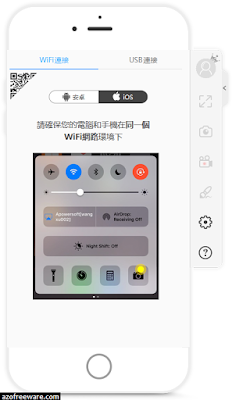 Any iOS device with AirPlay capability can also display cell phone screen on the computer using this tool. ApowerMirror enables you to control your Android from a PC seamlessly. Easily manipulate a phone's screen with your mouse and keyboard, including WhatsApp messages and SMS text messages. Game lovers can play Android-based games on their computer without an emulator and without rooting the device.